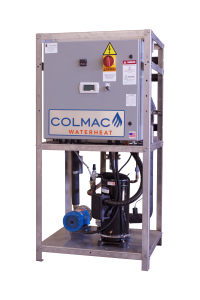 Colmac HPW Series water source heat pumps use energy collected from a fluid stream to heat domestic water up to 185ºF. The source fluid can be any filtered, non-corrosive, pressurized stream of liquid at temperatures as low as 50°F. HPW units feature up to four compressors on a single open frame. Energy from a pressurized liquid stream is absorbed by refrigerant in the evaporator causing the refrigerant to change phase from a liquid to a gas. This gas refrigerant is then compressed by a compressor which adds temperature and pressure to the refrigerant. The high temperature, high pressure refrigerant gas is then condensed to a liquid in a condenser where energy is traded from the refrigerant to sanitary water suitable for human consumption. Finally, the high pressure, liquid refrigerant is passed through an expansion valve which causes the refrigerant pressure and temperature to drop so it can once again enter the evaporator and absorb energy from the liquid source. 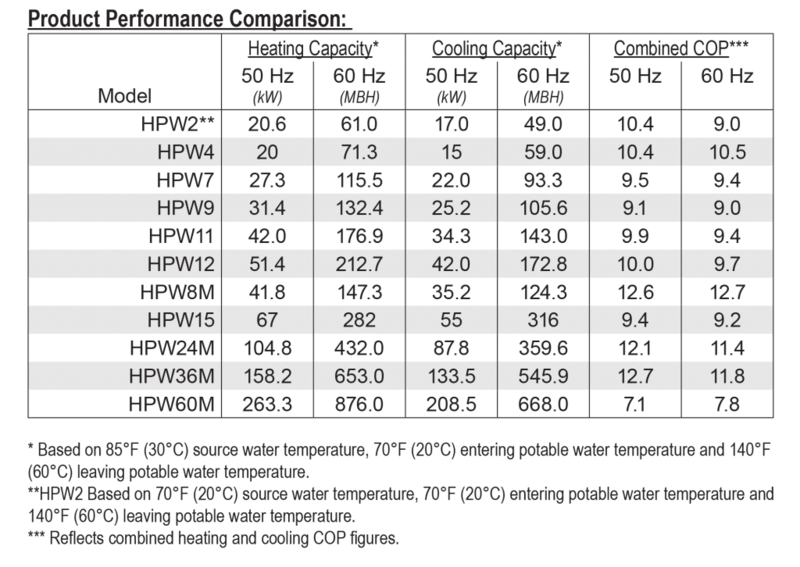 To maximize the efficiency of a water source heat pump, use the warmest liquid with highest specific heat and try to deliver the lowest sanitary water temperature acceptable. This minimizes the compressor work which is the largest operational cost associated with a heat pump. 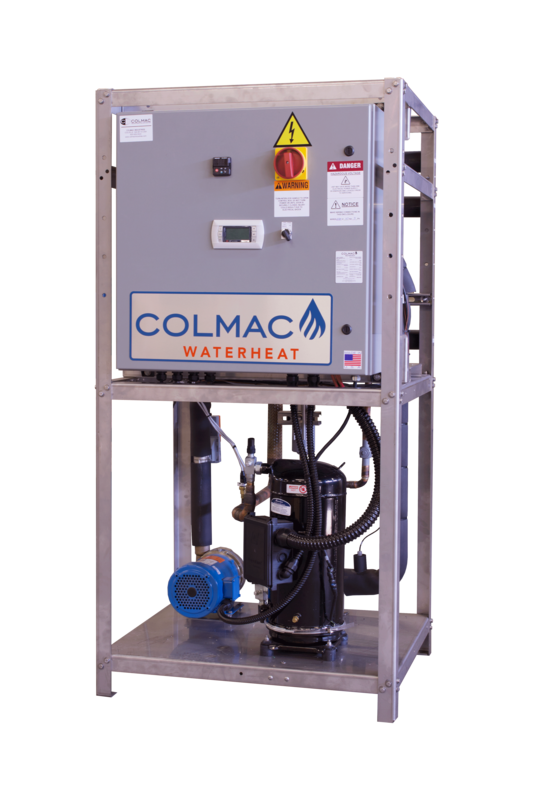 Building hydronic loop water, return chilled water, condenser or cooling tower water, geothermal loops or wells, and industrial process water are a few of the possible heat sources which can be utilized by the HPW heat pump.